Stefanos Tsitsipas has a good memory of Milan, the city, which hosts the second edition of the ATP Next Gen Finals. The 20-year-old Greek player won the famous Bonfiglio Junior tennis Tournament in 2016, a prestigious Grade A junior tennis tournament held on outdoor clay at the end of May in Milan before Roland Garros. That year he reached at least the quarter finals of all eight tournaments he played, including all four Grand Slam Junior tournaments. He became the first Greek to win a junior Grand Slam title, when he partnered with Estonian Kenneth Raisma in the doubles tournament at Wimbledon. He also reached the singles semifinals at Wimbledon and the US Open and ended 2016 ranked world number 2 at junior level behing Miomir Kecmanovic. 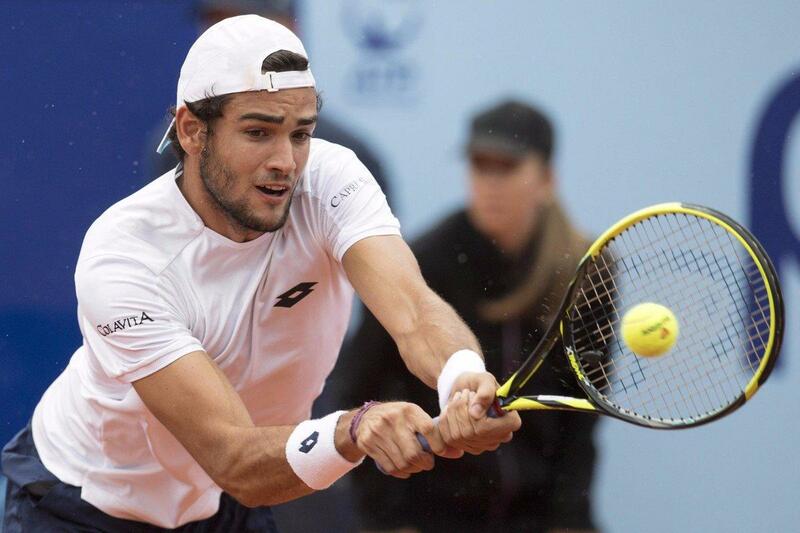 He returned to Milan last year as alternate at the first edition of the ATP Next Gen Finals at the end of a successful season in which he became the first Greek player in history to be ranked in the top 100. He reached his first semifinal at ATP Tour level in Antwerp as a qualifier after beating David Goffin for the first top 10 win of his career. 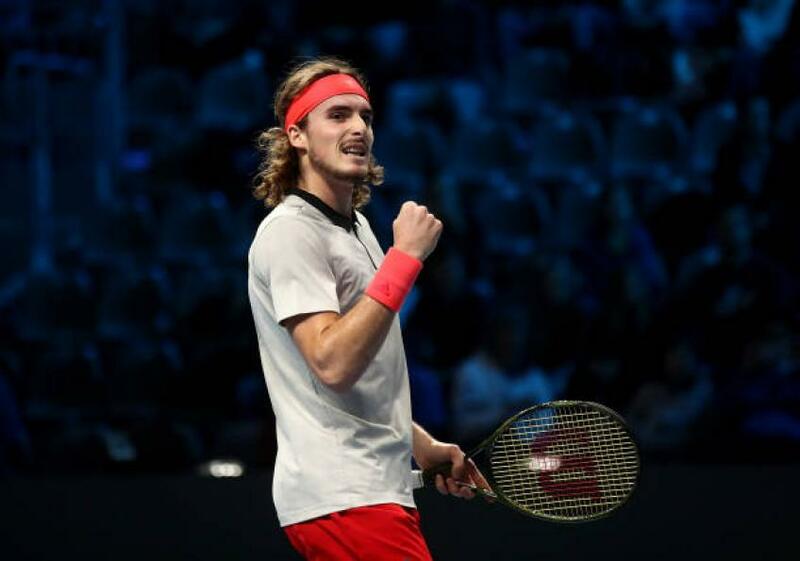 Tsitsipas has made a major breakthrough in 2018 reaching a career-high of world number 15 in the ATP Ranking. Stefanos was introduced to tennis at the age of 3. He is coached by his father Apostolos. His Russian mother Julia Salnikova was a top Soviet player in the 1980s. Stefanos has three younger siblings. His tow brothers Petros and Pavlos and his sister Elisavet are also tennis players. “I was three years old and I hit balls with my father between lessons. I remember watching matches on TV as a baby”, recalls Tsitsipas. The Athens-born player started playing tennis taking lessons at the Tennis Club Glyfada near Athens at the age of 6. His father has always been his coach, but Stefanos began training at the Patrick Moratoglou Academy in 2015. His father helped Stefanos develop his aggressive game and his one-handed backhand. As a junior Tsitsipas was ranked number 1 player. 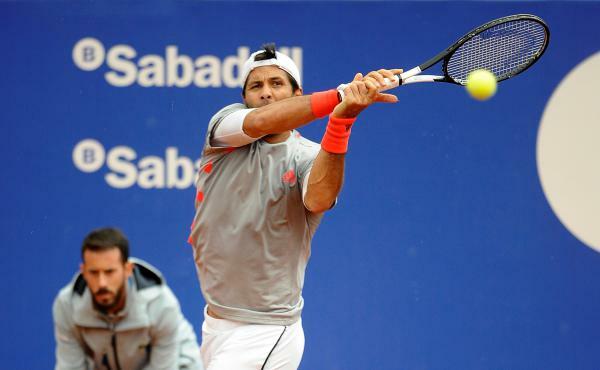 Last April he also finished runner-up to Rafael Nadal in the final in Barcelona on clay. He achieved his best result at Grand Slam level when he reached the fourth round at Wimbledon before losing to John Isner. During the summer hard-court season he reached the semifinal in Washington and the final in Toronto. He beat four top 10 players (Dominic Thiem, Novak Djokovic, Alexander Zverev and Kevin Anderson) en route to reaching his first Masters 1000 final at the Rogers Cup in Toronto before losing to Rafa Nadal in the title match. In the Canadian Open he became the youngest Masters 1000 finalist since 19-year-old Novak Djokovic at 2007 Miami. Last October he became the first Greek player to win an ATP tournament in Stockolm, where he lifted the maiden trophy of his career. “I achieved all my goals in 2018 and I have developed as a player. I am happy with my first title in Stockolm and the fourth round at Wimbledon. The first Grand Slam I would like to win in my career, because it is important and has an important media coverage. It’s popular around the world. Winning Wimbledon changes your life”. “I am still focused on the 2018 season and I want to do my best in Milan. I have not planned 2019 yet. I have to improve my game, especially the tweener ! I have to continue working hard. The 2018 season was my first major season on the tour and I have learned a lot from the two finals I played against Nadal in Barcelona and Toronto. The level of the Next Gen is very high. Only small details make the difference”, said Tsitsipas. Tsitsipas was asked if he would like to add a mentor to his team. “I would like to work with Pete Sampras to continue improving. He would be perfect, but I doubt that he wants to travel”. Tsitsipas made a winning debut to his Milan campaign with a hard-fought win over Jaume Munar in four sets in a match which featured three tie-breaks. 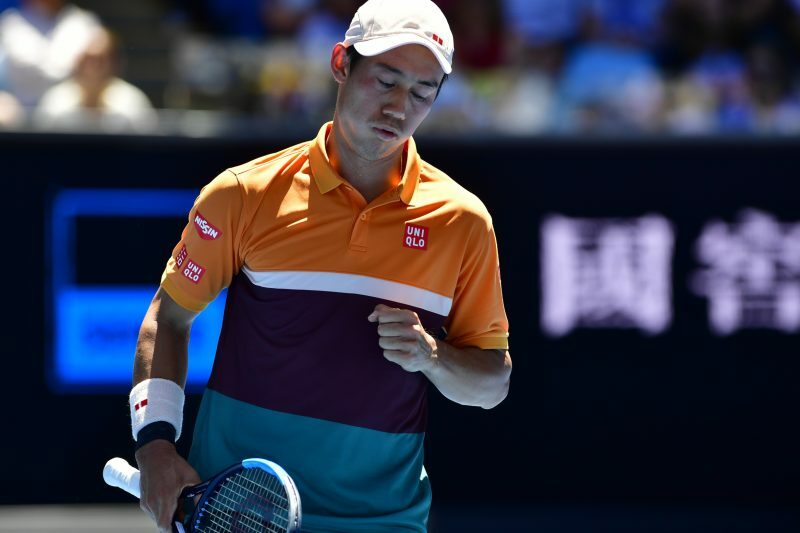 “The match was closer than I had expected. It was very stressful from the beginning. Every point counts. You can get broken at any moment. There was a lot of stress with many tie-breaks. The key was to be aggressive and deal with tough situations. My forehand worked well but I have to improve my serve. ”. Tsitsipas does not like the rule according to which players are instructed to use a towel rack at the back of the court to remove the onus on ball-kids to handle towels. “One thing that I didn’t like that much was the towel rule. I had to run for the towel, I always in my mind when I was playing. The rest was pretty okay. I am not a big fan of the coaching rule on the court, to be honest. I think a player should find solutions by himself. I don’t really like to talk when I am playing on the court. The rest was fine. It was a great performance. I am going to try to work on my serve for my next match”, said Tsitsipas during the post-match interview. During the press conference Tsitsipas was asked when was the first time that the ball-boy gave him the towel. “I think it was my first Mastes as a junior. It was somewhere In Italy I played. It was Tennis Europe Masters. I don’t remember where. Calabria or something ? Is there a place like this ? Reggio Calabria. It was the Masters there. I think they had ball kids for the first time. It’s a habit when you have this for almost your entire life. When you play at high level, you have the ball kids give you the towels, so it’s a bit unusual not to have than when you play a match. I think having the towels whenever you need it, it’s very helpful. It’s one thing less that you have to think about. I believe you don’t need to think about whether you are going to take your towel now or later. You can just call the ball kid. It’s their job to provide towels and balls to the players. I have been a ball boy and I gave the towel in my club tournament. It was the Greek Championship, I think”, said Tsitsipas. Tsitsipas found that the innovative scoring system worked well. “The four games rule worked well. I think it was okay. I believe a tie-break is a scoring format where the more experienced, the calmer and wiser player usually wins the tie-break. Let’s not forget luck involved as well. I was very satisfied that I won the first tie-breaks because it showed good manners from me. I was just there and taking advantage of my opportunities. The scoring system was fine. Deuce was a bit stressful. One good shot, one lucky return just can make the difference. If this deuce rule would be part of the future, I would just take it away. I would probably continue with ad scoring and forget the deciding point. The rest was pretty fine. The lets were okay. They have been done, because I have had issues in the past where I was playing without referees and the opponents were”. Tsitsipas is enjoying this week in Milan but he is taking this tournament very seriously.